Anyone who knows anything about cocktails understands the importance of bitters. One drop of these botanically infused mixtures can transform an entire drink, accentuating its rich, warm, sweet, spicy, or acidic flavor profile. Even casual cocktail sippers are sure to have a bottle of bitters on their home bar. The most commonly used are Angostura (rich and warm), Peychaud’s (sweet and floral), and orange (spicy and fresh). 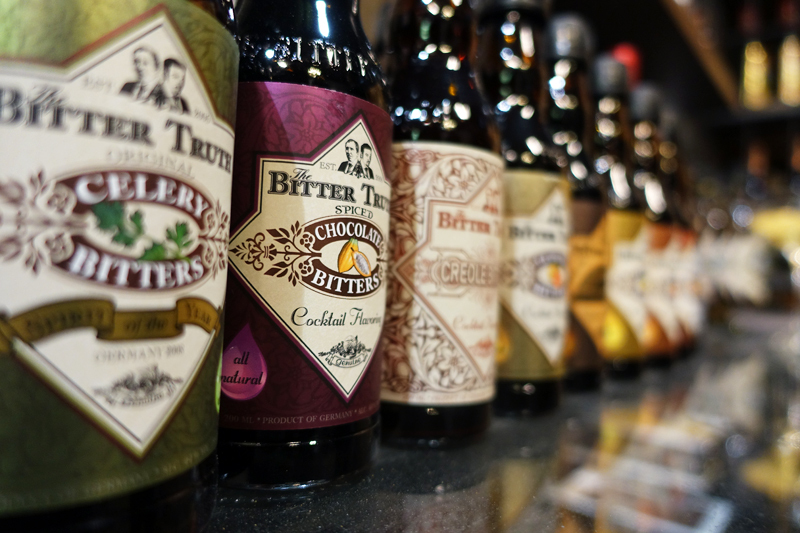 However, there are countless types of bitters you may never have tried or heard of. Reach for one of these unique and unusual flavors the next time you’re playing around with your cocktails — or use them in other creative ways such as in sauces, marinades, or to liven up club soda. Jamaican jerk bitters is sure to add a hint of Caribbean flair to any cocktail. The combination of nutmeg, cinnamon, chile, and thyme make it spicy and bold, but also slightly sweet. Add a dash to recipes like the Jungle Bird and the Hurricane Carolyn, or use it in a marinade for chicken. Made using only dark rum, peppercorns, and natural bittering agents, this black pepper bitters adds amazing depth to any savory cocktail. It’s ideal for using in a classic Bloody Mary or to spice up a vodka martini. Those who like a hint of heat along with their sweet may also enjoy it in their favorite tropical cocktails. Mint, lemongrass, and kaffir lime add a fresh and vibrant spin to slightly sweeter cocktails. Bold and flavorful without being overpowering, Thai bitters is best used in recipes like the Champagne cocktail or the French 75. A few drops would also be a perfect addition to a spicy shrimp marinade. If you’re new to bitters and want to test out traditional flavors before experimenting with ones that are more unique, the Scrappy’s Bitters Set ($24 for four half-ounce bottles) is perfect for beginners.